Dedicated to community development, Glinton-Meicholas was a founding member of the Boards of the National Art Gallery of The Bahamas and of the Antiquities, Monuments and Museums Corporation. She is founding member of the Cable Bahamas Cares Foundation and Creative Nassau, and a judge of the Templeton Laws of Life Essay Competition. Creative Nassau President, Pam Burnside and Vice President, Patricia Glinton-Meicholas, along with Gevon Moss of the Downtown Nassau Partnership were honoured to represent the City of Nassau at the recent UNESCO Creative Cities Network 10th Annual Meeting in Östersund, Sweden (a UCCN City of Gastronomy) this month. The UCCN now numbers 116 cities from 54 countries, and the Annual Meeting offers a unique opportunity to strengthen ties between the cities, to dialogue and exchange information, to formulate partnerships, and to determine and implement Network objectives, strategies and operations. The event took place over a period of a jam-packed week of activities which began with a three-day pre-Conference, at the Mid Sweden University which focused on Sustainability. Roland Krebs, Consultant for the IDB's Emerging and Sustainable Cities Initiative (ESCI) and the Nassau Urban Lab study, joined the team to make a presentation based on the recent plan prepared for the Bahamian government's National Development Plan for Downtown Bay Street and the Grants/Bain Town areas in Nassau, a project that was developed in conjunction with the consultants along with Bahamian stakeholders, civil society groups including Creative Nassau, and architecture students from the University of Vienna and the College of The Bahamas. The following days were taken up with the UCCN's extensive Meeting Agenda, including several sessions hosted by author, Charles Landry, well known for his various books dealing with the concept of 'Creative Cities', and visits to various venues in the Ostersund and Jamtland areas where delegates were treated to exciting samples of Swedish art, culture, heritage, and gastronomical delights! 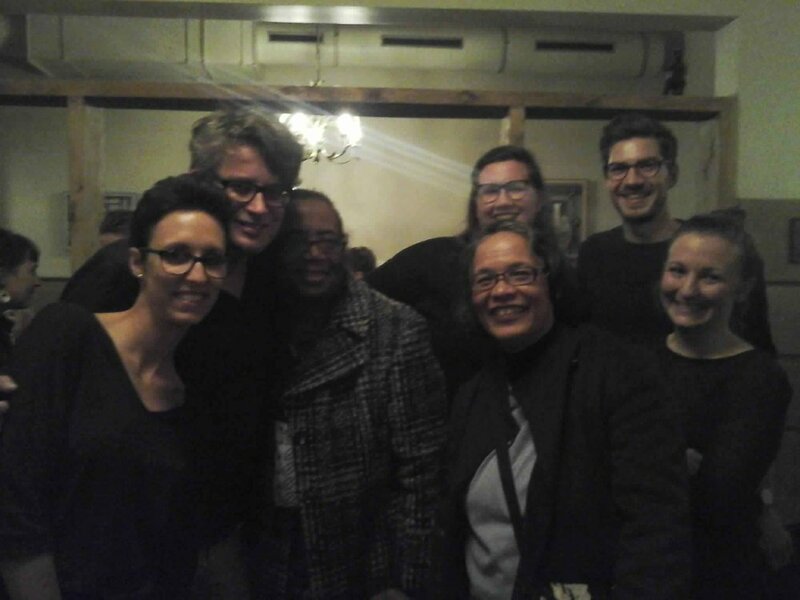 Following the UCCN Conference, Pam and Patti traveled to Vienna to visit with Mr Krebs and several of the Vienna University students and also to meet with an urban planning organization that oversees an area of Vienna city, who shared his expertise in the programme. The 2017 Annual Meeting will be held in Enghien les Bains in France. 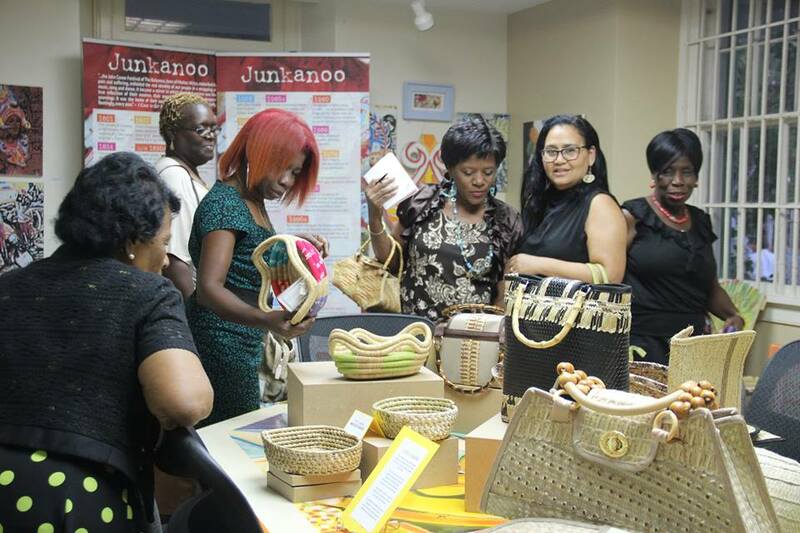 CN executives, Pam Burnside and Patricia Glinton Meicholas, along with CN Market artisan Martine Cleare, took part in an informative Caribbean regional webinar hosted by the OAS office in Washington on July 8, which discussed the reports of a two year grant funding programme in the Craft Sector throughout the Region. Shacara Lightbourne of the IICA office on Village Road kindly hosted the webinar, whilst other CN members logged in online from their respective locations. CREATIVE NASSAU ENJOYS EXPOSURE ALL WEEK ON THE RADIO AIRWAVES INTERNATIONALLY AND LOCALLY! Some would argue that The Bahamas is losing its identity because it does not adequately protect its heritage; its culture. While others would counter by saying it is insular to lock out other influences and that both the old and the new can co-exist. There is no fiercer warrior than Pam Burnside when it comes to cultural authenticism. On Thursday, Rogan Smith and me find out exactly what that means. Does it allow for us to progress culturally or does it stunt our growth if rigidly adhered to. whilst Vice President, Patricia Glinton-Meicholas was one of the guests of international broadcaster, Peter Greenberg on Friday, May 13 as he broadcast from Atlantis on Paradise Island. The Peter Greenberg Worldwide Radio Show broadcasts this week from the Atlantis Resort on Paradise Island in the Bahamas. Joining me will be USA TODAY's Gene Sloan on the boom in cruising to Cuba and what it means for other Caribbean cruise destinations. Michael Becker, CEO of GeoSure Global, will discuss the importance of situational and cultural awareness when you travel, and which regions of the world need your undivided attention. Tazia Rutherford, Atlantis' Associate Director of Marine Mammal Operations, talks about the daily challenges of maintaining a habitat that protects all of the resort's marine life and how guests get to interact. Pepin Argamasilla, who runs John Watling's Distillery, Ltd., will discuss the history of rum, and rum running, and how visitors to the Bahamas may be drinking less, but drinking better. Want to know what the purchase of Virgin America by Alaska Air means to you? Scott McCartney, travel editor for The Wall Street Journal, has a few thoughts. Then, stories from Patricia Glinton-Meicholas, Bahamian Author of An Evening in Guanima: A Treasury of Folktales from The Bahamas. Alana Rodgers, one of the founders of Hands For Hunger, discusses ways travelers can get involved with their important and essential work every time they visit the Bahamas. Last, but not least, David Singleton, author of the book Crush, talks about how a crush can inspire travel and how that crush leads to many other discoveries around the world. There's all that and more when Peter Greenberg Worldwide broadcasts from the Atlantis resort on Paradise Island in the Bahamas. Then on Wednesday, May 18 both Pam and Patti were guests on Island FM 102.9's "Morning Boil" radio show www.islandfmonline.com hosted by Eddie and Sannie discussing all manner of things Bahamian! It has been a busy, and a definitely PR-productive week! 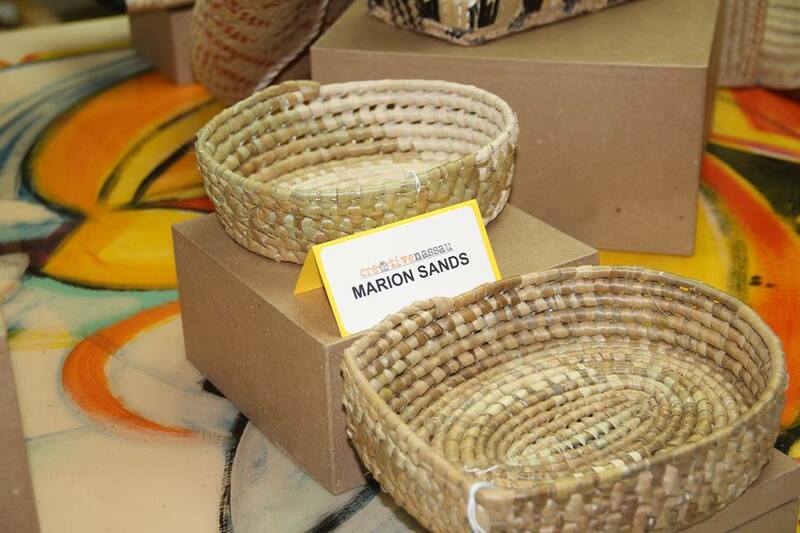 Creative Nassau's Straw Documentary, "Strawcraft of The Bahamas: weaving economic diversity" which showcases the fascinating story of this traditional Bahamian craft, was officially launched on Thursday May 5, 2016 at its home base, Doongalik Studios Art Gallery at #20 Village Road, Nassau, Bahamas. Written and produced by CN Vice President, Patricia Glinton-Meicholas, this 15-minute documentary is another amazing accomplishment for the organization whose mission is to 'celebrate and promote Bahamian Art, Culture & Heritage from the Inside Out'. Copies of the documentary, in DVD and Blu-ray format, are now available for sale at the Gallery. The following photographs of the evening's event show the interaction with the interested audience before and during the filming and the display of strawcraft from several of the talented straw artisans from the Creative Nassau bi-weekly Market in Pompey Square, Bay Street. The photographs of the Launch evening are courtesy of CN member and photographer, Rosemary C. Hanna. Creative Nassau (CN), the not-for-profit organization, which, since 2008, has been turning new pages in the promotion of Bahamian history, culture and the arts as the keys to economic diversity, has accomplished another first. 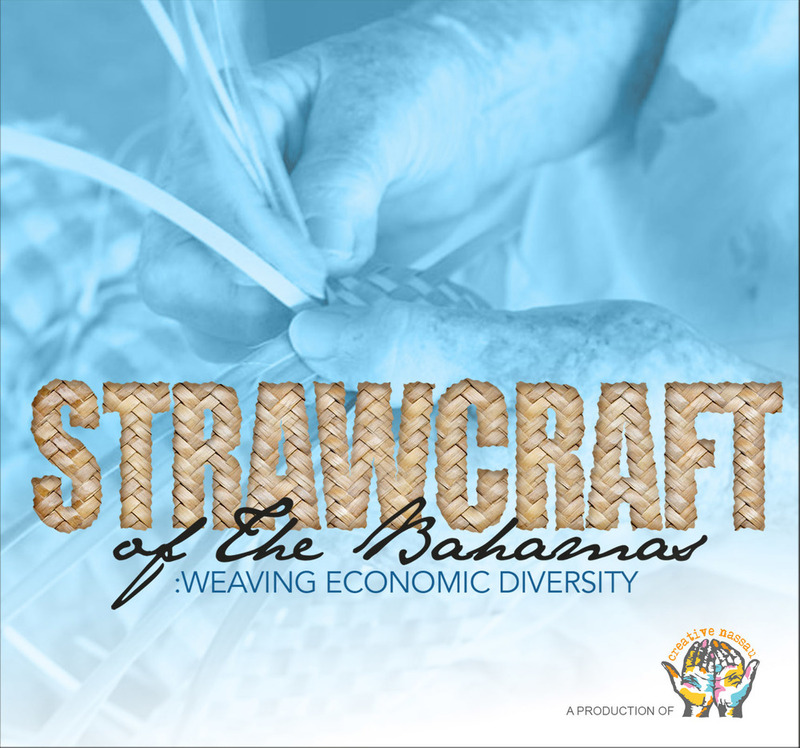 On Thursday, May 5 at Doongalik Studios, Creative Nassau will launch “Strawcraft in The Bahamas: Weaving economic diversity”, a short video documentary showcasing this unique aspect of Bahamian culture by which many Bahamian families have earned a living for centuries. The 15-minute film, written and directed by Creative Nassau’s Vice President, Patricia Glinton-Meicholas, was produced by CN in conjunction with The Counsellors Limited (TCL) with the sponsorship of The Counsellors Ltd, the Jackson Burnside Library Fund, Arawak Homes Ltd and Cable Bahamas Cares Foundation. “Creative Nassau’s mission is to demonstrate to our people and the rest of the world that we, as a people and a nation, are more than just “sun, sand and sea”. We have been achieving this through the promotion of Bahamian history, culture and the arts, with special focus on two aspects of Bahamian tradition— junkanoo arts and strawcraft, which are distinct features of our African heritage. We see these pursuits as two of the keys to achieving greater economic diversity, through a process that the Inter-American Development Bank has been promoting as the “Orange Economy” which uses creativity as the basis for sustainable development throughout all levels of society. We have devoted our first documentary to strawcraft, an industry that has allowed many Bahamian families to rise out of poverty by becoming entrepreneurs and actively contributing to the economic stability and growth of Bahamian society. This tradition, we strongly believe, still has enormous potential to positively impact our economic climate today if we would properly encourage its revival,” said Pam Burnside, President, Creative Nassau. Patricia Glinton-Meicholas commented: “I’m so pleased with the valuable footage we have been able to capture. I think viewers will be particularly fascinated by an interview TCL recorded in Red Bays, Andros. This documentary is only the beginning. It is only 15-minutes long, but there are so many more wonderful facets of the Bahamian straw industry to be told, including its major role in Bahamas tourism. 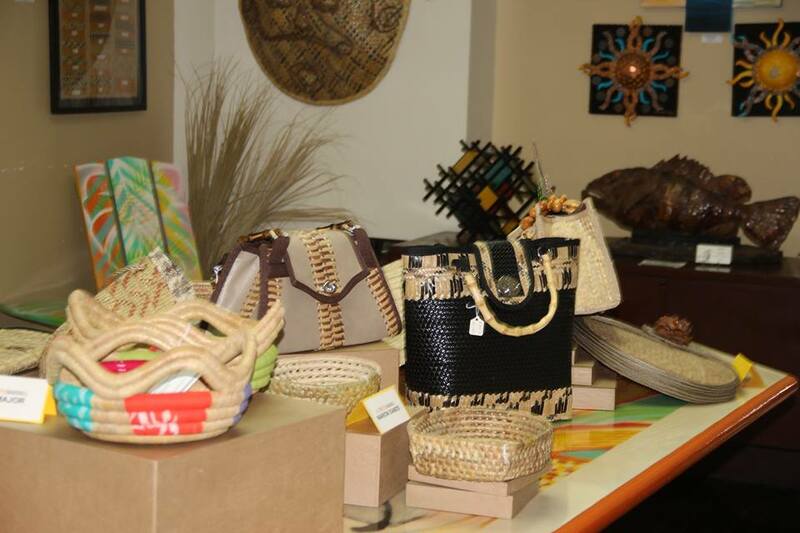 It’s awe-inspiring that Bahamian creativity has produced such a wealth of straw weave patterns and exquisite basketry. These must be recorded and passed down to future generations in order to stimulate a greater appreciation for and the continuance of these important parts of our heritage. There are many more people who have made contributions that we must and will acknowledge, but filmmaking is a costly process. We owe this promising start in great measure to our generous sponsors and the people who participated by providing information, examples of straw products, video footage and photographs. I’m particularly grateful to my technical editor, Jide Lowe of TCL and Pam Burnside and Rosemary Hanna, who have been excellent constructive critics, as well as other contributors, to whom we will express our gratitude at the launch,” Mrs Meicholas said. The DVD will be available for purchase at Doongalik Studios. 47 NEW CITIES JOIN THE UNESCO CREATIVE CITIES NETWORK! Management Consultants are called in to organizations to solve problems by finding the most logical solutions to the challenges faced by the business. We are the fixers. In an environment where innovation and differentiation (not based on price) are the keys to survival, creativity is the real currency. My perspective is that creativity is a business asset for two key reasons: it enables a more holistic thought process to find better business solutions and it creates a better employee and end-user experience. In part one of this two-part series, I will examine how strategic creativity and holistic thinking can lead to better business outcomes. In many organizations, creativity is generally not considered a business asset. And depending on the stage of the organization’s growth and the type of change that’s happening in the industry in which it operates, creativity may be an important bridge to reach the next stage of the business cycle. Creativity is not a four-letter word. In traditional business environments, creativity is often like a four-letter word, relegated to the proverbial kiddie corner rather than welcomed into the corner office. To me, it comes down to just that – thinking. The traditional management consultant typically comes from an industry such as finance or economics, where linear thinking is highly valued whereas creative thinking is non-linear. What’s the difference? Consider linear thinking as a thought process that follows a step-by-step progression where a response to a step must be elicited before another step is taken. In other words, one identifies a problem, chooses a starting point as a solution, and works out the logical steps to reach it. The danger with this is that sometimes the solution that is considered may be one of many alternative solutions or may not be the solution at all. In contrast, non-linear thinking can be thought of as a thought process that expands in multiple directions, rather than in one direction. It is based on the concept that there are multiple starting points from which one can apply logic to a problem. Rather than deducing that if ‘x’ is happening, the solution is ‘y’, one focuses on the actual challenge and potentially finds several solutions. Creativity and holistic thinking in management consulting enables consultants to be more open to solutions. Solutions which may not be the (traditional) safe and logical answers but can ultimately be ‘game-changers’. How to we activate the creative side of our brains? Put the mouse down and step away from your desk! Get into surroundings that are new, explore different industries and meet stimulating persons with outlooks that differ from your own. Attend conferences on business innovation, such as the Vanity Fair New Establishment and any number of the Bloomberg summits or conferences on leadership, business trends and design. Question your logic and look at familiar environments with a new lens. The ability to bring novel ideas and open new conversations to actionable solutions is where the true value of consulting lies. CN Members, Pam Burnside and Marilyn Zonicle, recently participated in a 3-day Training Workshop sponsored by the Inter-American Development Bank. The sessions were held at the College of The Bahamas and various members from government offices, non-profits and civil society organizations absorbed and practised interesting methodologies relating to forms of project management. All of the participants were successful in their endeavours, and are shown with their facilitators in a group photo at the end of the Workshop. Royann Dean (left) along with her sister Bahamian colleagues. The City of Nassau will be represented at the Jingdezhen 12th China International Ceramic Fair which takes place from October 18-22, 2015. Jingdezhen was designated a UNESCO Creative City of Crafts and Folk Arts in 2014, and the City has hosted this huge fair annually since 2004 catering to more than 2,000 international artisans. The City of Nassau was also designated a UNESCO Creative City of Crafts and Folk Arts in 2014, and as a member of this prestigious UNESCO Creative Cities Network (UCCN), it has accepted the invitation to participate. In addition to Alistair’s work, which will consist of pieces he has been working on in China, there will be two bowls by Master Bahamian Artist Max Taylor produced in the traditional Chelsea Pottery style, as well as pieces from Joann Behagg, taken from her recent “All Dead, All Gone” Exhibition which examined the dangers facing The Bahamas’ fishing resources as a result of overfishing and pollution of our waters. Interested persons can view last year’s fair at https://www.youtube.com/watch?v=yB_PlRnNV1M and photos of this year’s Fair will be posted on the Creative Nassau website and facebook page.